In response to requests from students, faculty, and staff, Massasoit’s cafeterias feature Meatless Monday entree specials every Monday. Vegetarian options are available every day of the week. 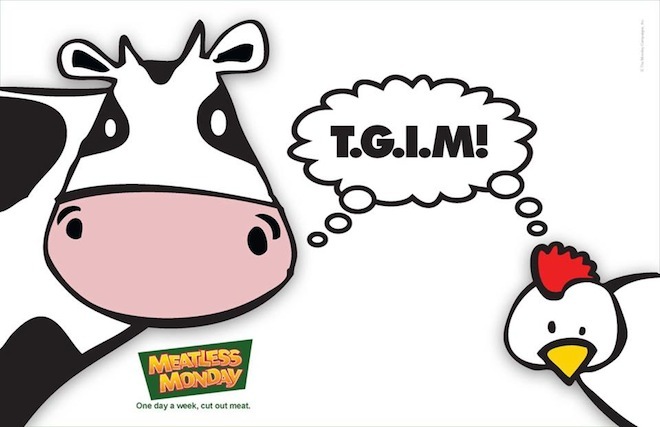 Meatless Monday is an international movement, begun in 2003 by marketing professional Sid Lerner in conjunction with the Johns Hopkins Bloomberg School of Public Health. Its aim is to encourage people to cut back on their meat consumption 15% (one day a week) to improve their personal health and reduce their carbon footprint. Did you know that eating meat has a huge impact on the environment? Meat production requires large amounts of water and land, contributing to resource depletion, deforestation, and increased carbon emissions. Eating meatless meals just one day a week is easy! Learn more about Meatless Monday and get great recipe ideas!